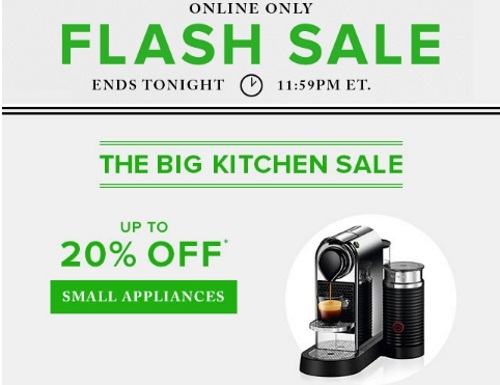 Hudson's Bay has a hot Flash Sale today during their Big Kitchen Sale! Plus save an extra 10% off with the promo code FLASH. Offer is valid online only today, Wednesday, April 5, 2017 until 11:59pm ET.